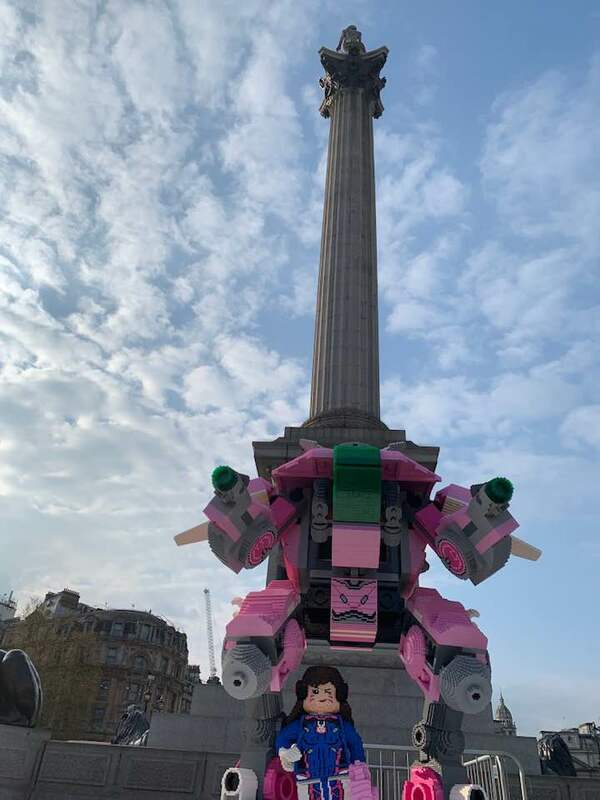 As reported yesterday, to coincide with London Games Fest, the huge brick-built version of Overwatch character D. Va has appeared in London’s Trafalgar Square this morning and BricksFanz very own London correspondent Mark Campbell has been to the popular tourist spot to check it out. 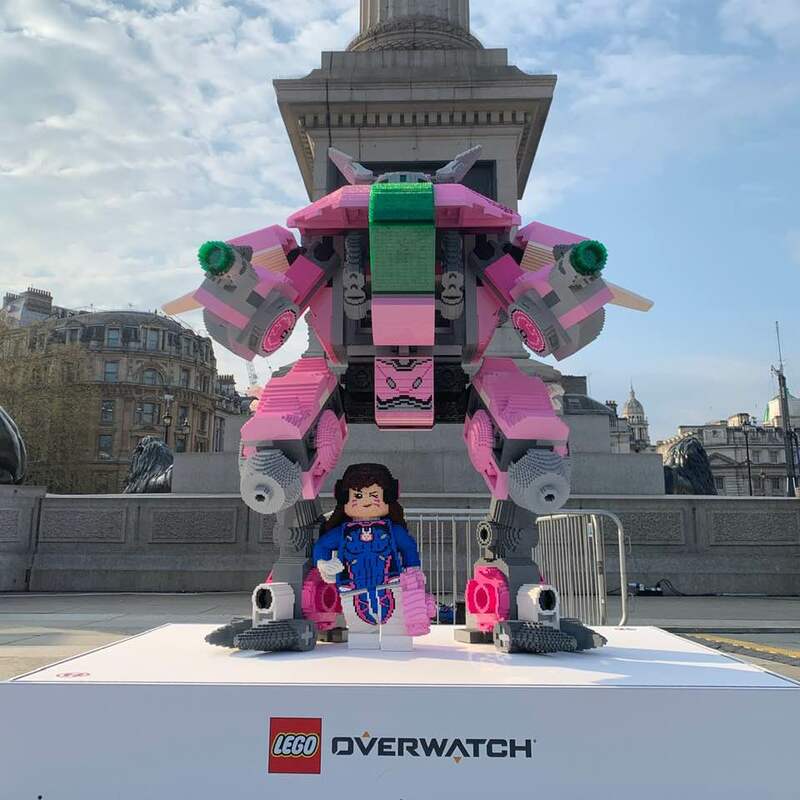 The build measures 9ft tall, and features D.Va together with her Mech Suit MEKA. The whole build weighs around 570kg and it contains 145,276 LEGO elements. 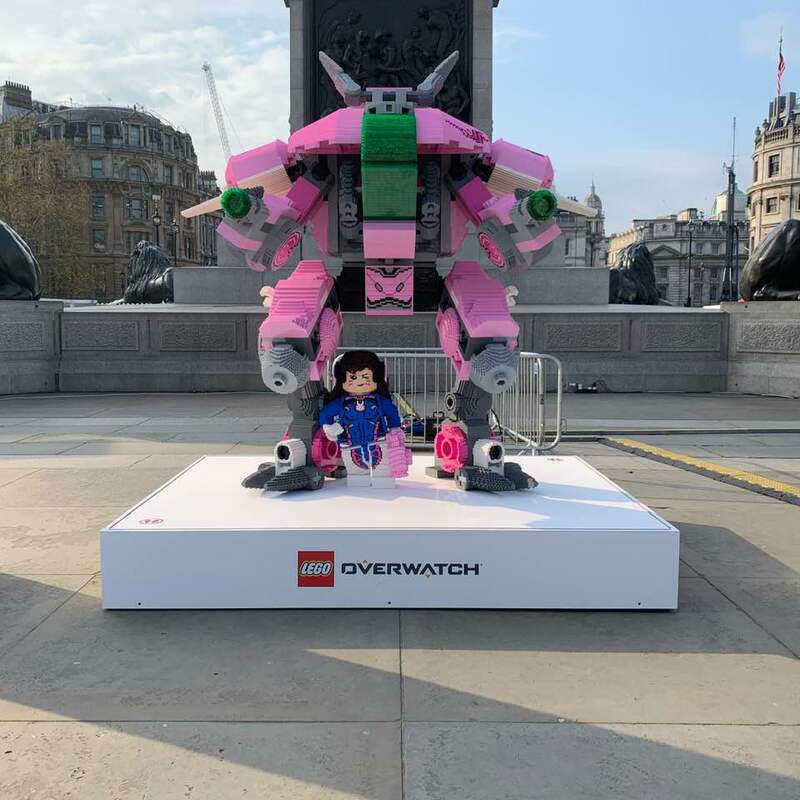 The Overwatch D. Va Big Build can be found in Trafalgar Square right now as part of London Game Fest, so if you’re in the area pop down, have a look and get a little gaming in as well. Thanks to Mark for the images.